This is a comprehensive practical course in translation for advanced students of German, which focuses on improving translation quality whilst clarifying the theoretical issues involved. This second edition brings the course up-to-date, and has been fully reworked to give clearer explanations of key terms and include revised chapters on genre, compensation and revision and editing. 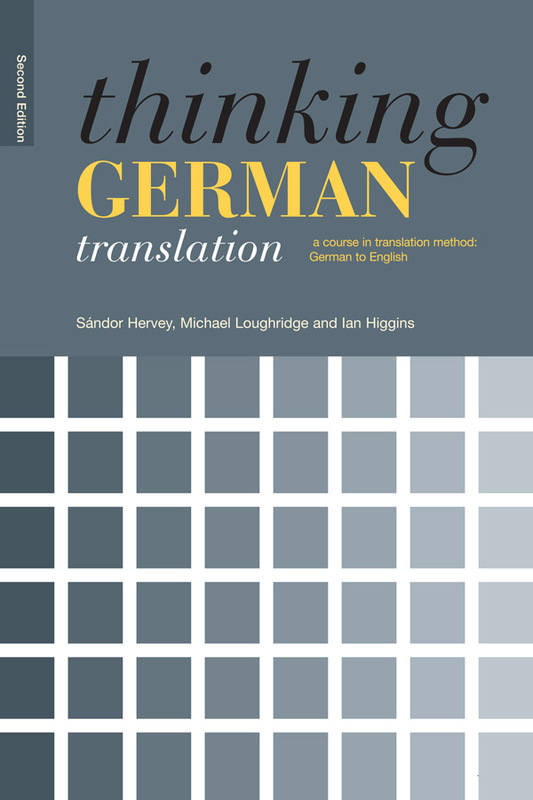 Addressing a variety of translation issues such as cultural difference, register and dialect, Thinking German Translation is essential reading for all students wishing to perfect their translation skills. It is also an excellent foundation for those considering a career in translation. The late Sándor Hervey was Reader in Linguistics at the University of St Andrews. Michael Loughridge was Lecturer in German at the University of St. Andrews and is now a full-time translator with MITI status. Ian Higgins is Honorary Senior Lecturer in French at the University of St Andrews. independent study, and the activities and discussion questions are concrete enough that the user can learn the intended points even without an instructor to grade the translations or guide discussion. Moreover, the established scholar or translator may find the book, especially the chapters on modal particles and focus, to be a useful reference work."